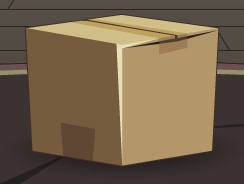 Description: A cardboard box. It has many, MANY wonderful uses. Note: Also see Pile of Boxes.